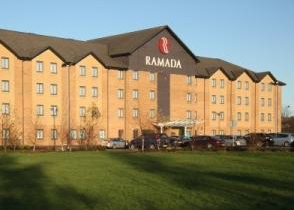 The Ramada Farnham hotel enjoys wonderful views of the Surrey Downs, easy access into London, Guildford, nearby Thorpe Park and Hog’s Back. Our standard rooms have internet access (some enjoy Surrey Downs views) and you can exercise in our indoor pool or at the Health Club and wind down with a relaxing spa treatment. Pamper yourself with an upgrade to an executive room with welcome trays, newspapers and early check-in. Enjoy views of the hotel gardens and Surrey Downs over lunch & dinner in our restaurant or bar and enjoy alfresco dining in the summer months. Get in touch to find out about hosting your meeting, holding your perfect wedding in our ballroom or celebrating a special occasion. Set within the Ramada Farnham Hotel, Diva Salon has been established since 2006 in Farnborough and is owned by Sue Purewal. Sue genuinely strives for customer satisfaction at all times and always attempts to make your visits to the salon to be a happy experience. The staff are trained and qualified in beauty and a holistic therapy and we offer a range of treatments from waxing, nails, body wraps and facials through to Full Day Spa packages. We know it is a difficult time for anyone dealing with the loss of a loved one and here at Ramada Farnham we are commited to providing a sensitive and professional service. Our dedicated Events Manager and experienced staff will look after your post-funeral arrangements with care. Celebrate the festive season in style at the Ramada Farnham; the only venue to book! We have something for everyone this Christmas with a fantastic choice of events. All that’s left to do is get ready for a great party with plenty of tasty food and floor-filling tunes to get you dancing ‘til late. Make an unforgettable Christmas for your whole party with Ramada Farnham!